When you indulge in a succulent rack of ribs, you probably look back at it with fond memories and compare lesser quality ribs to those that were great. An excellent smokehouse is a great find, but nothing beats having your own smoker to create those flavors right in your backyard. Why Choose A Gas Smoker? Gas smokers offer a great compromise. Cooking with wood and charcoal smokers provides awesome flavor, but the technique can be tricky and there is a learning curve. Electric is easy,but can be pricey and doesn’t offer the same infusion of flavor. Gas smokers allow you to cook with wood for exceptional flavor, but tend to cost less than electric and are easier to manage than their charcoal counterparts. Even novices will find the process is very uncomplicated. Gas smokers heat up quickly and the temperature stays consistent throughout the cooking process. Charcoal smokers involve more attentiveness, which might not be ideal for your lifestyle. But, with a gas smoker, you can set the temperature and walk away without worrying about your food burning up or cooling down. Another benefit to a gas smoker is the portability. If you need to take your smoker off site, there are some models that are so compact they can fit in a spacious trunk. Even the larger models can be easily transported if you’ve got a roomier vehicle, or a buddy with a pickup truck. Gas smokers use either propane or natural gas via a burner at the bottom of the unit. This heats up a pan or multiple pans that you fill with wood and water, which is used to create steam. There are vents throughout the units to control oxygen flow. Most smokers come with a temperature gauge so you can keep an eye on the temperature, though some cooks forgo the built-in gauge for the probe of their preference. There is virtually no need to babysit a gas smoker; the extent of your activity will be adding wood and water and changing out the propane tank if it starts to run low. Speaking of which, you’ll want to make sure you grab at least two tanks to ensure a quick and easy change if you need one. There are some features you’ll want to consider before buying a smoker, as they can range from cheap and inefficient to overpriced with more bells and whistles than you need. One of the most important features will be the amount of cooking space you have to work with. A smoker should include adequate space to cook a wide variety of food. In one meal, you might want to cook a turkey, a rack of ribs, some veggies and sausage.The ideal smoker will not only have enough space, but will have multiple adjustable racks so you can configure all of your pans the way you need to. Another important feature is the quality of the material. This might seem like a no-brainer, but it is very tempting to cheap out on a smoker because seems that they all look the same and do the same thing. But, when you buy cheap, the poor craftsmanship certainly will become evident quickly.A well-built smoker will have sturdy racks and the doors and drawers will shut properly and completely. A gas smoker that you have to fidget with to get to work properly prevents the ease of operation that is one of the main draws of smoking with gas. Sufficient water pans and and wood chip trays are also features to keep in mind. If these items are too small, they could prove a nuisance to the owner, who will spend a lot of time refilling the unit. Easy maintenance is also an important distinction. You don’t want to buy a smoker that takes more time to clean than it did to cook the meal. 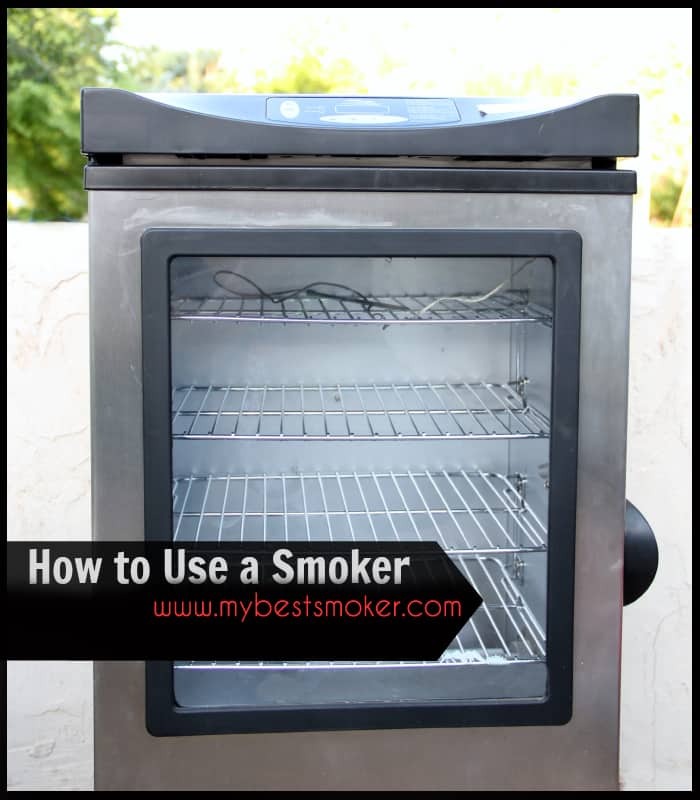 Your ideal smoker will have sturdy, removable parts that you can take to a sink and easily clean. Although gas smokers offer a good amount of space to cook your meats, if you’re cooking for a major crowd, you’ll find the space insufficient. Another thing to note about gas smokers is that propane is more expensive than wood and charcoal. Lastly, if you’re very particular about the taste, you might be put off by the difference between cooking with gas and cooking with a charcoal smoker. The outside of your meat won’t crisp up as well or have the same intensity of flavor, and the propane can give the meat a slightly different flavor that some compare to bacon. Cook your meats low and slow with the Camp Chef Smoker 18-Inch Vault. With easy temperature control, adjustable racks, and ample space, this smoker is ideal for all of your smoking needs. The Vault traps in the smoke, creating intense flavor, succulent meats, and easy BBQ cooking. Three adjustable damper valves: Having adjustable valves allows you to maintain better control over airflow. The valves are easily accessible and you can make quick adjustments on the fly to create the ideal cooking environment that works with the particular type of food you’re preparing. Large water pan: The large pan holds an exceptional amount of liquid, which prevents hourly trips to the smoker to refill it. Heats to very high temps: This smoker will reach 500 degrees F, so it can cook something on a low temperature, like jerky (it includes a special rack just for jerky, by the way) and it also handles baked goods, including pizza, just as well. Efficient propane usage: Your propane will go a long way with this smoker; you might even find that you’ve got some propane left in your tank when you’re finished cooking. Single-door design – A dual-door design is preferred by many consumers for better temperature control. The Masterbuilt 20050211 features 1300 square feet of total cooking space, making it easy for smoking for an entire army of folks! A convenient built in temperature gauge makes it easy to watch the heat levels, and the locking door feature ensures that the smoke stays where it should; in the smoker, surrounding the meats. Push-button ignition – A push-button ignition is great for start up, eliminating the need to find matches or a lighter when it’s time to cook. Insulated: The unit is well-insulated to trap in heat, which means that there is less smoke leaking out than other smokers. The insulation also allows for a consistently moist environment and helps the flavor of the wood better permeate the meat. 4 adjustable chrome smoking racks: The racks are sturdy, which is important when you’ve got a lot of weight that needs to be supported. Cheaply made racks will buckle under the weight of several heavy pans, but you can load these up and they still feel secure. Accurate thermometer: Perhaps one of the most widespread complaints when it comes to smokers is the unreliability of the thermometers. 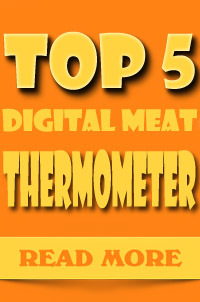 This one comes within about 5 degrees of the actual temperature, making it one of the most accurate built-in thermometers available on a smoker. Small water pan: The water pan will need to be changed out frequently, which is a bit of a hassle. Small wood chip tray: The chips burn through relatively quickly, as you can’t put a lot in the tray at one time. Infuse your meats with incrediable smoke flavor with the Dyna-Glo Gas Smoker, a lightweight smoker with a dual door design and plenty of cooking space. This smoker features easy ignition, quick cleanups, and a cast iron burner that offers durability. Adjustable racks: Movable racks allow for customized spacing, so you can configure the racks based on the varying heights of the food you’re cooking. This is a nice feature for when you are cooking tall pieces of meat, such as turkey, along with vegetables or flatter meats like ribs. Steel wood chip box: The chip box is sturdy and comes with handles, making it easier to remove while it’s still hot. Dual-door design: The efficient double-door design features rope gasket, which provides a tight seal, minimizing smoke leaks. Lightweight: Weighing in at a mere 56 pounds, this smoker holds a lot of food while still being very easy to move around the yard or even take with you off-site. Poorly fitting chip box lid: The lid doesn’t fit well on the chip box, so it doesn’t serve its purpose. Those who are looking for that extra safety precaution may be disappointed they can’t rely on it. Faulty temperature gauge: The temperature gauge often arrives broken, which can be quite problematic if you’re relying on the built-in gauge instead of providing your own thermometer. The Smoke Hollow 38202G greatest feature is its dual door design that allows users to feed wood and water to the smoker without losing heat or smoke. Users will also enjoy the easy temperature control that allows heat levels to change with the touch of a dial, making the control of the interior heat and moisture the simplest it can be. Large water pan: The water pan holds a large amount of water, and on a medium temperature, the water won’t need to be refilled more than every 5 hours. Large wood chip box: You can fit a lot of wood in the chip box, which means the wood won’t burn through too quickly, so you won’t have to constantly refill it. The wood box also comes with a cover, which prevents flare ups. Dual-door design: There is a separate door for wood chips and water, so when you need to refill either of the two, you can open the designated door without disturbing any of the food that’s cooking on top. The heat stays inside the cooking chamber, allowing for fewer fluctuations in temperature and faster cooking times. 4 cubic feet of cooking space: Unless you’re cooking for commercial purposes, you’ll probably find the amount of cooking space more than sufficient. Fuel efficient: On a low-medium temperature, 1 propane tank will get the job done. 20,000 BTU gas output: Some other smokers approach putting off similar heat, but nothing gets quite as hot as this smoker. The shelves can be difficult to maneuver, as they fall out of the holes that keep them in place if not handled with particular care. This Char-Broil Smoker offers convenient drawers so the user can add water and wood without losing heat or smoke. Users can also easily control the temperature of the burner while monitoring the temperature of the cooking area. This smoker also features a warming rack for sauces, a unique option that most smokers do not offer. Warming rack – The unique warming rack on top of the unit allows you to warm any marinades and sauces that you’ll be using to complement your meal. The rack helps to keep the components of your meal in one place, offering convenience and a space-saving solution. Combined wood chip/water tray: Most smokers these days come with two separate trays – one for the wood chips and one for the water. This smoker only comes with one tray, to be used for both. The problem is, there isn’t enough room to accommodate the wood and water in this particular tray, so both run out frequently, requiring more attention. Another issue is that it can be difficult to keep the water from spilling when closing the door or refilling the chips. Inconsistent quality in materials: While the body of the smoker seems sturdy, the legs are thinner. Some might consider the difference in quality to be a signal that the legs were a cheap afterthought. Slightly lacking in cooking space: This smoker offers 595 square inches of cooking space, which is respectable, but falls a little short when compared to most other smokers. The Camp Chef Smoker 18-Inch Vault. While it isn’t the largest smoker, it still offers a large amount of cooking space, which will prove sufficient for most home cooks. The materials are high-quality throughout the product, instead of just in particular places. The water pan is larger than most and the chip pan is separate from the water pan for greater efficiency. There are multiple sturdy racks that can be adjusted when placing food or removed for easy cleaning. This smoker fulfills the requirements of an exceptional product while not suffering from a slew of downsides. Im looking at the Smoke Hollow, does it keep a steady temp like the MES?? ?